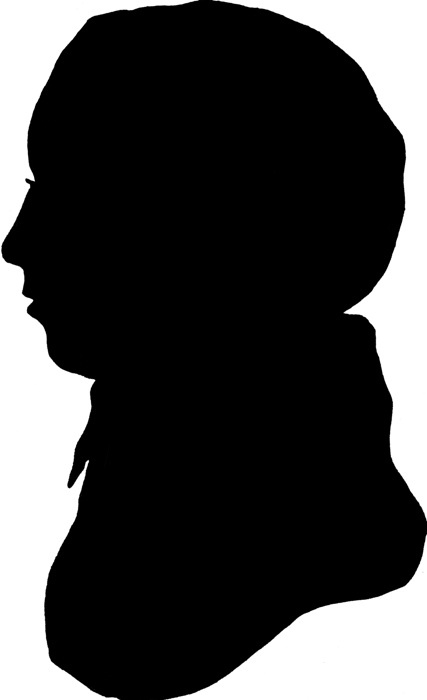 The undated silhouette above is the only known portrait of Lowell. 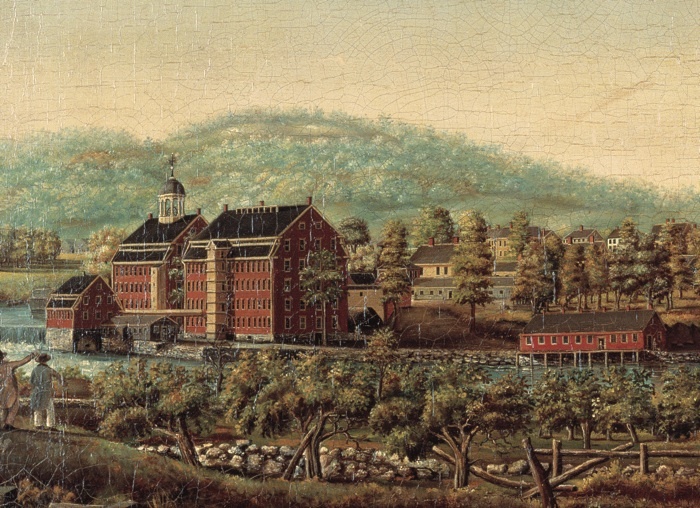 A detail of Boston Manufacturing Company Waltham Mills, painted by Elijah Smith circa 1825, shows the textile mill opened by Lowell’s company. 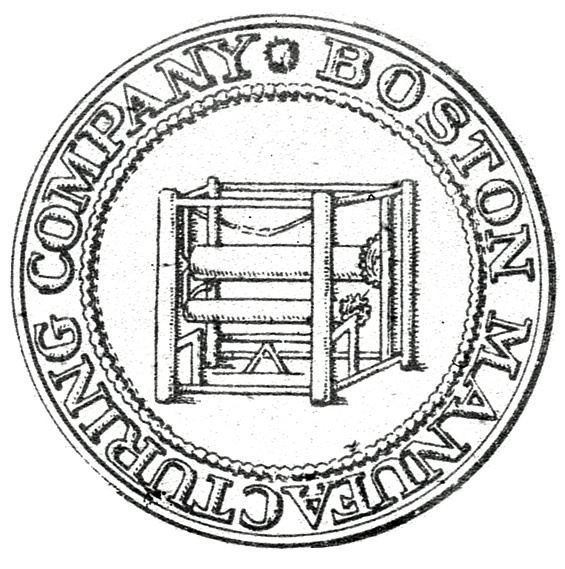 The seal of the Boston Manufacturing Company (circa 1814) emphasizes the company’s power loom. Few individuals have influenced economic history as did Francis Cabot Lowell, A.B. 1793. Born as American colonists struggled for political independence, he helped lay the groundwork for the new country’s economic independence with his idea for an integrated textile mill. That concept eventually transformed the United States into a world trading power and put into play forces of technological innovation that continue today. Lowell’s father, John, A.B. 1760, was a successful lawyer, politician, and colleague of John Adams, who named him chief judge of the First Circuit Court of Appeals. His mother, Susannah, was the daughter of Salem shipping magnate Francis Cabot. Both families shaped the boy’s name and career. Entering Harvard at 14, he distinguished himself in mathematics, but as a senior lit a bonfire in the Yard, an uncharacteristic episode of mischief. For this he was “rusticated” for several months and tutored in math and morals before being allowed to return to Cambridge. He graduated with highest honors. Surely to the chagrin of his father, he exhibited a “bland unconcern” with politics, and pursued instead a Cabot-like career as an international merchant. Signing on as supercargo of an uncle’s ship, he quickly learned the trading business. Soon he set up his own account at Boston’s Long Wharf and amassed a substantial fortune in the Federal-era trade of textiles, crops, and foreign currency. On the side, he acquired significant chunks of Boston wharf property, several residences, and tracts of Maine wilderness. But by 1810 hostilities between France and Great Britain threatened his prosperity. With gunships patrolling the Atlantic, international shipping became an impossibly risky livelihood. The stresses took their toll. Lowell was described as a “high-strung, delicate [man], prone to overwork and periods of nervous exhaustion.” His remedy was to settle accounts and embark on a two-year trip to Britain, to regain his health and contemplate his prospects. One obstacle to his incipient plan, however, was Britain’s tight control of its advanced textile industry. To protect trade secrets, the technologies were not for sale, and British textile workers were prohibited from leaving the country. Lowell’s admission through the factory gates is testimony to the caliber of his references and his standing as a trader, not yet a competing manufacturer. He left Britain in 1812 on the eve of war and sailed away with his head evidently buzzing with ideas. Immediately upon his return to Boston, he set to work on a scheme that many in the conservative Lowell clan considered “visionary and dangerous.” Nevertheless, he raised the unheard-of amount of $400,000 from family and friends through the novel idea of selling shares in his enterprise, which became known as the Boston Manufacturing Company. He purchased a dam and property on the Charles River in the country town of Waltham, 10 miles from Boston, then built a four-story brick mill with a handsome cupola and Paul Revere bell. Most important, he hired the skilled engineer Paul Moody who, with Lowell making the complex calculations, created the country’s earliest operable power loom and linked it to other previously mechanized weaving processes to establish the first fully integrated mill in the world. Cotton entered as a bale and exited as a bolt, a revolutionary idea that made the “Waltham system of manufacture” emulated across the globe and the basis for modern industry. “From the first starting of the first power loom,” reported one of the investors, “there was no hesitation or doubt about the success of this manufacture.” By 1815, cloth flew out of the factory as fast as the company could make it, fulfilling the high demand for American textiles after war stemmed the flow of imported goods. The operation soon returned 20 percent annual dividends to its lucky backers, who talked excitedly about creating great industrial cities throughout New England on the Waltham model. But Lowell himself barely enjoyed the fruit of his triumph. A frenetic pace coupled with his “delicate nature” proved a tragic combination. He died at 42, just three years after the birth of his industrial vision. Despite his frail constitution, Lowell possessed a combination of ability, ambition, wealth, connections, and risk-taking that would come to define later generations of American entrepreneurs. Like Edison, Ford, and Gates, Lowell not only created products, he created a market where none existed. In this he established much more than a textile mill in Waltham, Massachusetts. He helped inaugurate a culture of innovation that has driven the world economy ever since. Dan Yaeger, M.T.S. '83, the former executive director of the Charles River Museum of Industry and Innovation, in Waltham, Massachusetts, is executive director of the New England Museum Association. He is at work on a biography of Francis Cabot Lowell.